Seriously guys. Monday and Tuesday were super beyond crazy at work and I couldn't wait to leave the front door. I really meant to blog last night and after work, running 3 miles in the hot stinking sauna that is PA this week, getting my hair cut, eating dinner, and taking a shower... I just couldn't.make.myself.MOVE. No lie. A rough start to the week aside, I did have a nice run on Saturday. 9 miles were on the schedule.. and that's what I did. 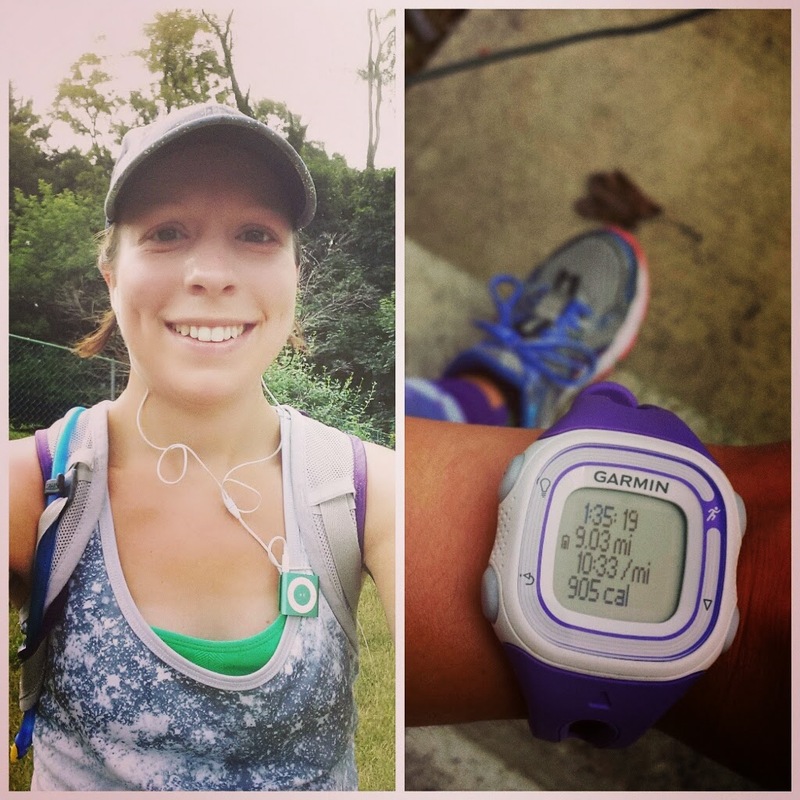 It was a little rough (ankle pain lives on) at the beginning until I got in gear and then the last mile since I had no more water, but overall I am happy with it. 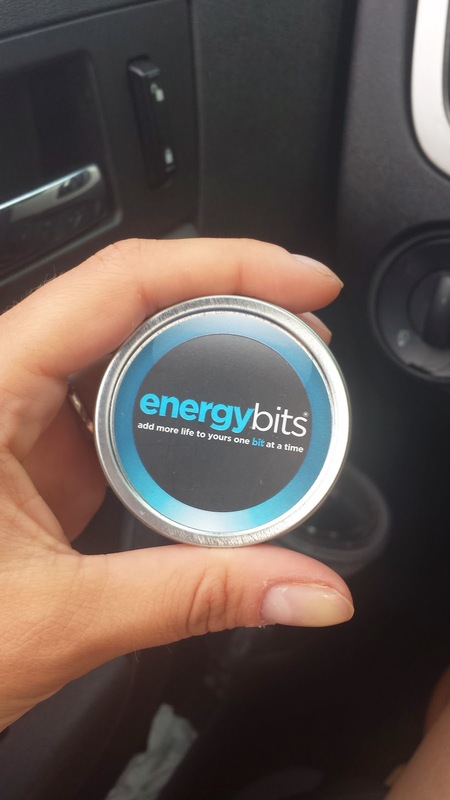 The only fuel I used was my beloved Energy Bits! I started a little later than I hoped but got out the door and ran the easiest route to calculate 9 miles. I left my house and ran toward the market street bridge that leads into Harrisburg and ran along the river. I have lots of weird thoughts when I run down there- especially early in the morning. Sadly, it is a gathering area of sorts for some of the area homeless. Working in the mental health field I have mixed thoughts on this population- either way I feel a mix of sad and grateful. In the first 2 miles it was a little drizzley (is that even a word?) but by the time I made it to the Harrisburg side of the river, the sun was bright and shiny. My legs felt pretty heavy and tired at times. This could be expected when I skipped running all week trying to show my ankle who was boss. It didn't entirely work. Roll, ice, rest, elevate, repeat. Either way.. I got out there.. got it done and moving onward. Its all good. I have so many awesome supporters in my life that I know I can do this. One step. One smile. One mile. One day. One run... at a time.